Which Is Worse: Drunk Driving Or Distracted Driving? April is a special month for traffic safety advocates. It’s a national awareness month for not one, but two of the most important safety issues that American drivers face on our nation’s roads. In April, safety advocates work to help the public understand Alcohol Awareness Month and Distracted Driving Awareness Month. Safety advocates often hear a frustrating question when they’re raising awareness of an issue: “Which is worse?” Is driving drunk worse than texting while driving? Is a sleepy driver worse than a drunk one? Are drunk drivers worse than high drivers? The truth is that what’s worse on the road is a matter of degree. To traffic safety advocates, any preventable condition that makes the road less safe is worth correcting. Still, in a month with multiple awareness opportunities, people are going to ask whether a shot of alcohol or a cell phone is more dangerous in a driver’s hand. According to the National Highway & Transportation Administration, a texting driver is just as impaired as a driver who has consumed four alcoholic beverages. Drunk drivers are dangerous because their reaction times are slower, their judgment is impaired, and they may get not notice obstacles in the road ahead of them. Distracted drivers are a hazard to themselves and others because they’re often looking away from the road, and even when they do glance up, they might notice a dangerous situation too late to stop. How Many Americans Have Ridden with Drunk vs. Texting Drivers? 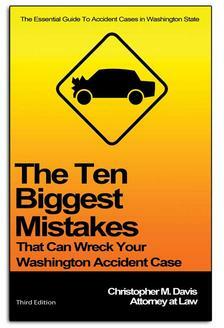 Most Americans understand by now that it’s dangerous to get into a car with a drunk driver. Fewer understand the dangers of distracted driving. In a 2013 study of high school students, 22% told researchers that they had let a drunk friend drive them around. That may seem high, but it’s a huge improvement over the 40% of students who admitted to being a passenger in a drunk driver’s car in 1991. Compare those numbers to the crowd of people who’ve ridden in cars while the driver was texting. Researchers found that half of all adults and teenagers have ridden in a vehicle while the driver was texting. Which Is Worse Drinking or Texting? Distractions behind the wheel are a type of impairment, and if that distraction is severe enough, it can be just as problematic as drunk driving. The truth is that in a life-or-death situation, it only takes one split-second decision to cause—or to prevent—a crash. The seconds that a driver wastes looking at his phone could be the time he needed to slam on the brakes. The moments wasted by a driver with a reaction time impaired by alcohol might be the ones he needed to spend swerving out of the way of an oncoming vehicle. In the end, it all comes down to physics. A speeding car can stop safely given a long enough distance and time, but every second counts. Why gamble with your life when you could play it safe? If you have been in a distracted driving accident, contact Davis Law Group.